Act Now - 6 award winning one act plays. All of these plays have received one or more awards in national competitions, and offer something to delight audiences and challenge the actors. Visitors: A battered woman believes that she has been visited by aliens, who will one day return and rescue her from her drab life. Mario’s Finger: Set in a rundown bar, a unique take on disease and disability. Twilight: A young girl falls off her bicycle and into the arms of a very special ghost. A Candle For Elvis:: A delight for actors and audience as Elvis is released by the aliens who sucked him up to examine his brain. War Brides: A tender remembrance of World War II. For All the Saints : An all-out fantasy as de-consecrated stained glass saints meet up in a London storage basement. Simple sets, some costuming, and royalty free for schools, colleges, and community theater groups. Do you really know what happened? Let your audiences discover the truth. New York, April 19,1912. Three days after the disaster, while the memories are still fresh, Senator William Smith of Michigan heads a U.S Senate Investigation into the sinking of the Titanic. From the original Senate Hearing transcript one by one the survivors tell their story, and the night lives again with its tales of heroes and villains. While looking for a scapegoat, the Senator uncovers a terrible truth. Told in the actual words of the survivors this is a gripping tale and a must see for Titanic buffs and theater connoisseurs, ....... an opportunity for the small cast to excel..
complications arise between Dot, Mr. Tackleton and the mysterious stranger. All is resolved, after much misunderstanding, on Christmas Day. Even the miserly old Mr. Tackleton has a change of heart. 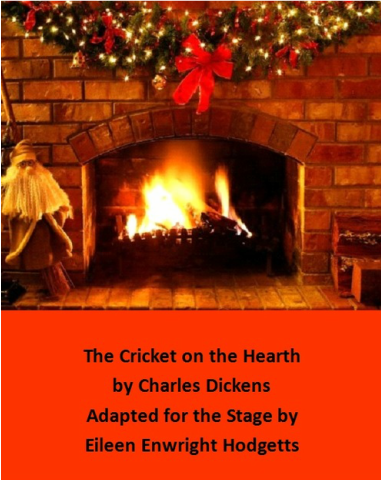 This very neglected, yet delightful Dickens story provides a cheerful alternative to the other, traditional stories at Christmas time. And it can also be produced at any time of the year. Phoebe lives in luxury on her ex-husband's money and wallows in self-pity and junk food. A visit from a runaway vampire servant changes her life for the better until the boy's master wants him back and Phoebe has to shape up and fight to keep him. This play is a comedic tongue-in-cheek look at vampire myths of all kinds as Phoebe finds self-confidence and unlikely romance. 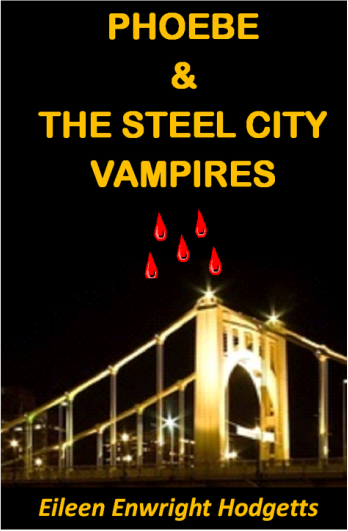 Includes cultural references to Pittsburgh but these can be adapted to any other city with the author's permission. Based on interviews with surviving brides, War Brides deals with the frenzy of wartime romance, and the end results in the cold light of reality. Moving freely between the present in the United States and a village in England where American troops wait for the Normandy invasion, War Brides chronicles two romances and their lifelong effects. Vera wants to marry an American, any American, and get away from a life of poverty. Nick just wants to have a good time. Sylvia lives in a fantasy world and the lies she has told prevent her from finding happiness with Jack. In a bittersweet meeting many years later, Jack and Vera explore what might have been.